What We Do - Who We Are - and Where We Came From – Grand Brass Lamp Parts, LLC. 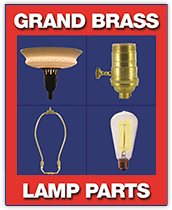 Grand Brass Lamp Parts, LLC. Does Grand Brass have a Showroom? ASK A QUESTION Can't find an answer?